Cutest little face ever! Meet Quincey. 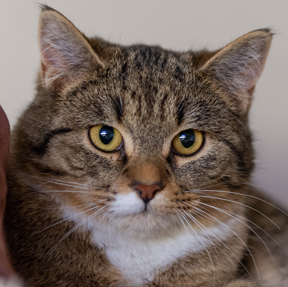 With his kitten charm and wise owl eyes, Quincey is sure to make a lucky family very happy when they take him home. Found on the streets of Calgary, Quincey was very lucky to have been rescued and admitted to MEOW’s adoption program before the onset of old man winter. The only thing on Quincey’s wish list is a loving forever family and maybe a cosy bed also! *Quincey has been sponsored by four (4) Christmas Guardian Angels. **One sponsorship is for my beloved Micha who will forever be in my heart. **One sponsorship is for Snooper and Wiggles.